Green Mountain Adventure Racing Association (http://gmara.org) is a non-profit supporting adventure in Vermont. All images © GMARA. Personal use allowed with credit. 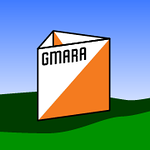 For commercial use or publication, contact info@gmara.org.